In a large saucepan bring water to boil. Add orzo and cook 9-10 minutes. 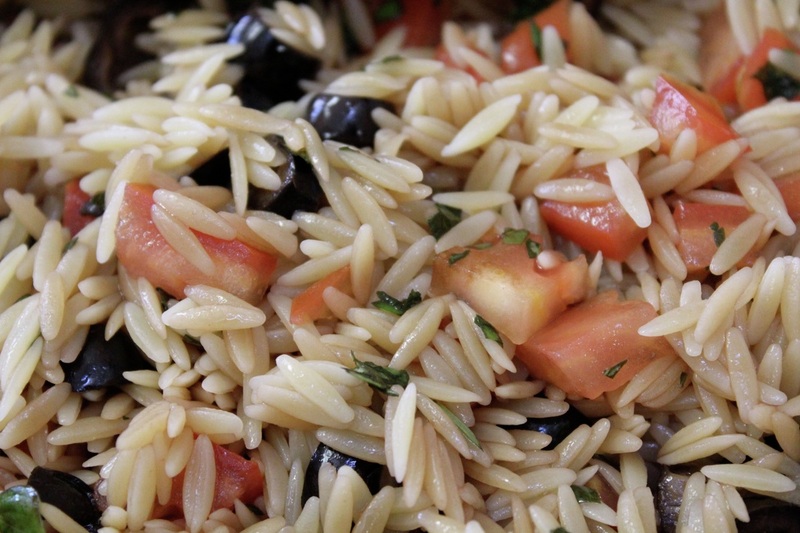 Drain and place orzo in a serving bowl. Add basil, tomato, olives, vinegar, and olive oil mixing well. Serve warm or cold.